Sustainability Structure | Cebu Holdings, Inc.
At the board level, we have a Sustainability Committee that is responsible for setting our sustainability strategy and integrating sustainability initiatives into our daily business activities. The committee also ensures that the company meets the expectations of stakeholders, and that each step in the project development cycle has a corresponding sustainability parameter and target. 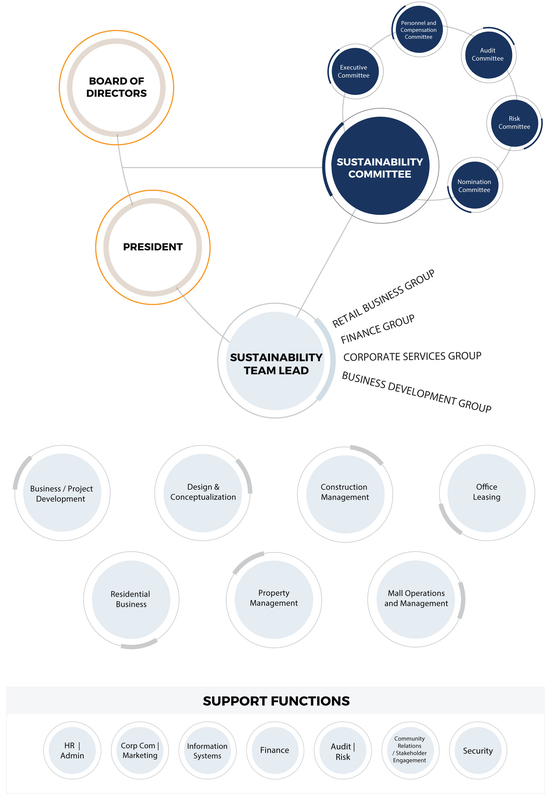 The Sustainability Council supports the Board’s Sustainability Committee in carrying out its responsibilities. Presented the company’s sustainability performance to the Sustainability Committee at the board level.